Originally from Canada, Alex has been based in Nepal for the last number of years and has in-depth knowlege on the many sacred sites of Nepal and the Himalayas. 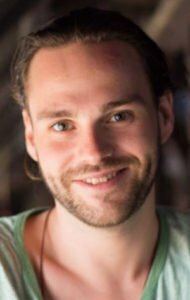 Alex has studied Buddhist philosophy at a University based out of a Tibetan monastery in Kathmandu and is therefore familiar with a classical Tibetan learning environment. At the same time, Alex’s studies in Tibetan Buddhism have stemmed from a psychological/’mind-training’ interest, which comes out in his approach to meditation, philosophy, and various cultivation practices from the rich Tibetan Buddhist wisdom tradition. Thanks to a wealth of experience in Nepal and in the Himalayan region, Sisse is a knowledge gateway between Asia and the West. For the last twelve years, Sisse has been traveling to Nepal and Tibet. Sisse is originally from Denmark. Ten years of experience with meditation practice and for the last years, guiding meditation at the Himalayan Buddhist Meditation Center (HBMC) in Kathmandu, combined with local experience as a freelance consultant for various international organisations, her studies of Tibetan Buddhist philosophy and Tibetan language, as well as working as a travel guide in the Himalayan region are the basis of her expertise to found Himalayan Hermitage. 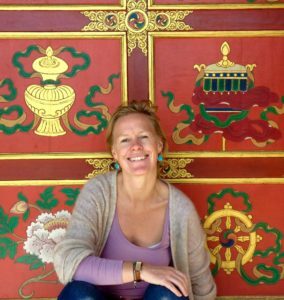 Sisse is the founder, as well as photographer and facilitator of Himalayan Hermitage. Here is a short introduction to Himalayan Hermitage. Our team offers tailor-suited and pre-packaged Pilgrimage Journeys in the Himalayan regions of Nepal, Tibet and Bhutan (India to come in 2019). Our expertise comes from merging Western and Eastern perspectives. We explore the hallmarks of Himalayan Buddhist cultures –philosophy, history and various cultivation practices, such as mindfulness, compassion and wisdom. With this we offer a unique introduction to the spiritual heritage of the Himalayan region through becoming pilgrims (rather than tourists) as we immerse ourselves experientially into the raw, powerful environments and uplifting cultures of the Himalayas.